So how do I get to see the products I searched on ads? Your personal information such as search history, location, app installs are being compromised at this moment. Some apps even illegally monetize personal data to advertising agencies. But sadly, to the data owner, nothing is rewarded in return. 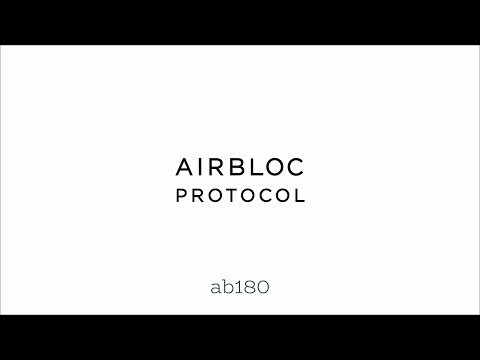 Submit your interest data on AIRBLOC via AIRBLOC Main Client Service. When this data is sold to advertisers and used at AIRBLOC Data Marketplace, rewards will be given to users. With more data provided, and with better data quality, there will be greater rewards returned to users. Ads are displayed according to user’s interest data, and AIRBLOC can offer various ad configuration settings. Advertisers can reach out to those who might actually be interested in its products and/or services. At the same time, users will view preferred ads as a useful type of information. Here’s how it works. When a user submits data directly to Airbloc Main Client Service, the advertiser pays fee to the user group who are likely to purchase their product and buy interests data from Airbloc Main Marketplace. Also, to the individual users who are exposed to ad campaigns, rewards will be given. How simple is it? Users as an original provider to ‘interests data’ can regain their data rights, and advertisers can now make improved targeted ads with accuracy based on both direct and indirect data types. This interests data is not legally violated if you have already paid for its value and transferred data ownership. Therefore, advertisers have the legal freedom to use this data. The increased flexibility of data utilization allows advertisers to do all sorts of testing to maximize effectiveness for targeted ads. To collect data with reliability, Airbloc continuously validates the credibility of each user, the data providers. Personal information, survey responses, and behavioral data are used for credit score computation and bigger reward will be given to users with high credit ratings. Directly collected personal interests data that are below certain credit limit cannot be sold on Main Marketplace. In Airbloc, ads can become a useful piece of information, not a noise. This is because users can configure types of ads to be viewed and not to be viewed on Airbloc’s Main Client Service. Based on users’ preference configured, Airbloc ecosystem will allow a transparent trading of both data and ad exposures. Airbloc will issue 'ABL tokens' as means to buy and sell data and ad exposures. This token can be used as a compensation to reward individual users, the data suppliers, and can also be a means of payment to the data consumers. The initial token is based on the ERC20 standard which initially runs on Ethernet main network, and these purchased tokens can later be exchanged for tokens on Airbloc’s own network. It is in fact not a new idea to me among many others. Not sure if you have a plan B to stand out of the crowd. Team is local and it is not a good team composition. I would suggest expand your team with international advisors at least. Team is not international and I dont feel the team has sufficient expertise to pull this with all these competition. Existing business is a plus. Control your personal data and share it with whomever you want whenever you want. I know of at least 5 ICOs that have launched with the same idea. I would have like to have seen a breakdown of how they differ from their competitors. This is a plain vanilla project, the white paper isn’t written very well, and I question if there’s enough business experience on the team to get the job done. -Very big dev OPERATIONAL team! ; borrowing from ab180. - This is being presented as a subsidiary of ab180. All the resources are coming from ab180, so really should be thought of as an additional capital raise of ab180. It is important to consider because it will take resources / attention away from one or the other, someone pays here current investors or the new ones.. It could be a great story as the team is assembled, but the question of why do they need the money is important and should be addressed. - Like to see a CFO to manage the money. - There is a lot of room for someone to get this market segment right. - It would be interesting to see some performance numbers from ab180 to get a sense how the company is executing in the space. Customer lists would give some indication if this team is able to reach across international borders. This needs to stop. They are 10000 of "Decentralized Personal Data Protocol" I mean a lot of tokens in order to secure your personal data , cookies and selling tokenize such products has no economical value whatsoever. Said as hottest ICO in 1st week of june by Primetrade.ai social speculation report. Pre sale is done in under 2 minutes, expecting some korean fomo? Small cap: 20 k eth, 50%+ sold to public, good advertising potential. Team : looks great with experience people in blockchain & partnership with icon makes it even more better. Vision : vision is good as this could change the world of advertisement rather than spamming people it would be better to advertise only to interested. Product : Dont see any prototype. They do have very good investors too such as Signum Capital, Fenbushi Capital, Huobi Capital and OK Blockchain Capital. Listing on Huobi and OKex doesnt seem to be an issue at all. An above project in overall.